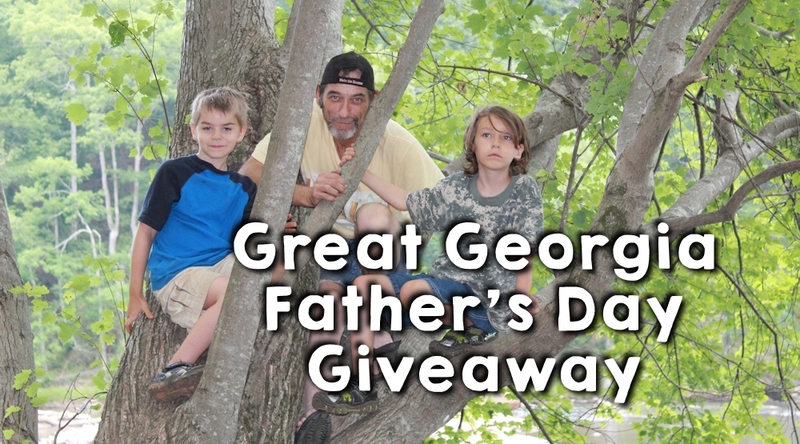 The Third Annual Great Georgia Father’s Day Giveaway is sponsored entirely by awesome companies and organizations dedicated to getting outside and exploring, together. We’re giving away $200 in prizes for Father’s Day in honor of David Cook (1957-2011). Learn more & enter to win other prizes! Treetop Quest is one of the most fun and adventurous things to do in Metro Atlanta. The innovative ropes course & thrilling ziplines cater to all ages. We’ve been to both the Gwinnett & Dunwoody locations, and always have a blast soaring through the air and completing obstacle courses. The unique safety features of the Treetop Quest aerial courses offer comfort and security for families looking to spend the day like the flying trapeze. Read more about our adventures at Treetop Quest. I cannot express enough thanks to Treetop Quest for sponsoring TWO passes to this Father’s Day Giveaway that means so much to my family. Thank you, Treetop Quest!! You can enter by commenting the place you had the best adventure with Dad and tweeting a message to your followers using the rafflecopter form, below. Enter everyday! Winner will be notified within 24 hours of drawing and has 24 hours to claim their prize. Prize will be available for pickup at Treetop Quest. Don’t forget to enter the other drawings. I wasn’t lucky enough to have the adventures it looks like your kids had with your husband. I love that my own kids have a fantastic dad to be adventurous with. What a great honor to your husband! Thanks, Maria. It means a lot that you took the time to share that with me. I’m so happy for you that you and your husband are able to give your kids something you did not get to experience. What a gift! Hugs for you. Every outing with my dad is an adventure! My husband and I love to take the kids out to see and try new things when we can! Congratulations, Rhonda! You’ve won the 2 passes to Treetop Quest! My kids go on adventures with their daddy. They love to go geocaching. I always had the best adventures with dad in the backyard! The best adventures with my Dad were on the ice pond in our back yard playing hockey! I always had the best time camping and boating with my dad on Lake Allatoona every summer growing up. He’s been gone now for almost two years, and I miss him every day. Aw! Sorry, for your loss. Thanks for sharing your precious memories.